Children aged 3 to 6 often find it difficult to grasp concepts such as ‘tomorrow’ or ‘at the weekend’. 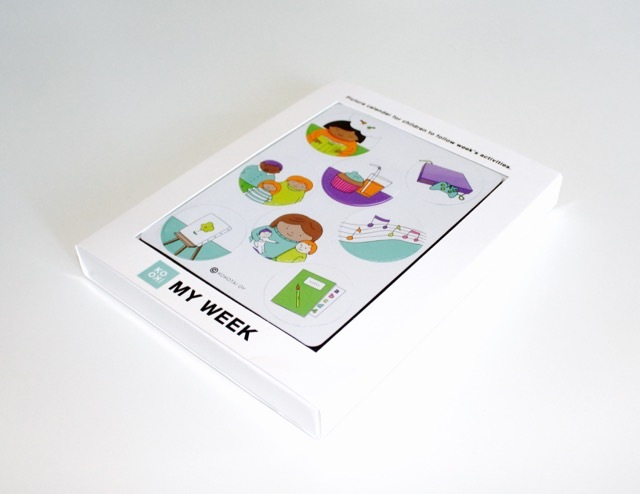 The weekday headings and picture magnets of the weekly calendar help children learn what day it is, how many days a week they spend in day care or at school, when the weekend is or when grandma will come and visit. This makes everyday life easier to anticipate and increases children’s wellbeing. To begin with, the child will take a look at the week's events and activities together with an adult and gradually move towards greater independence. The adult’s job is to make sure the calendar events and day indicator position are up to date. Keeping the calendar on the fridge door makes it easy to take a look at around breakfast time, for example. 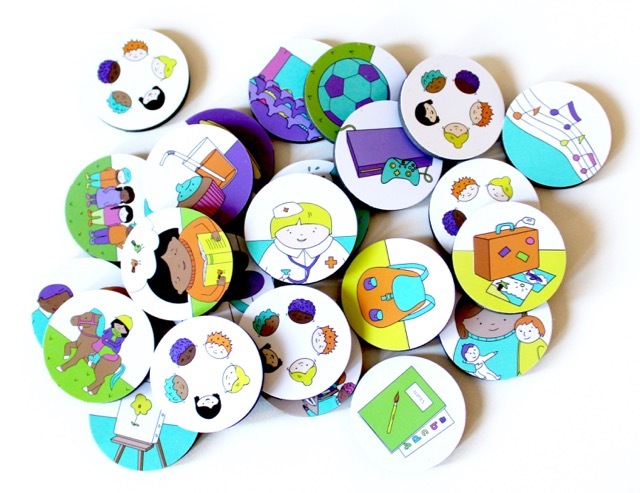 The magnets are perfect for little fingers to handle as they are thick yet light and have just the right sticking power to make them easy to pick up and move around. 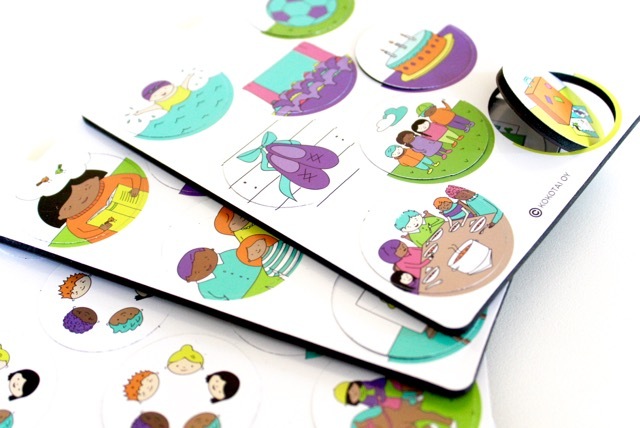 The calendar comes with a set of weekday heading magnets as well as 24 magnets with fresh illustrations of common activities of the week and few less frequently used special ones plus 7 empty ones for your own creativity. The calendar can be placed on any magnetically receptive surface such as the fridge, a metal board or a surface treated with magnetic paint. The product is 100% Finnish design, and the fresh artwork is by industrial designer Netta Korhonen. The design focus is on stylish product packaging, day-to-day usability and creating a beautiful home decor item. Looking for a gift that will be enjoyed for many years to come? It is nice to be able to give something that is genuinely useful for the recipient and also looks great. Unlike many other presents, the magnet calendar will be enjoyed for several years. You will be able to see it in everyday use whenever you visit the family. The weekday headings and packaging texts are in English.